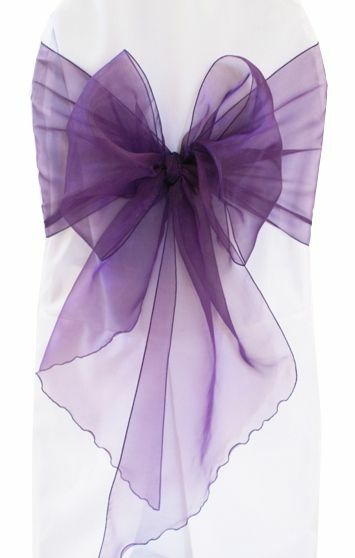 Cheap Organza Chair Sashes, Bows, Ties Free Shipping over $150 - US 48 Contiguous States! Wholesale High quality wedding wide organza chair sashes bows ties, our organza chair sash bows ties made from a high quality organza material, our 12" organza sashes with a beautiful angle end edge giving a delicate and elegant appearance to the overall look of the chair. Our organza chair sashes are available in over 41 different colors and matching overlays and table runners, table covers.